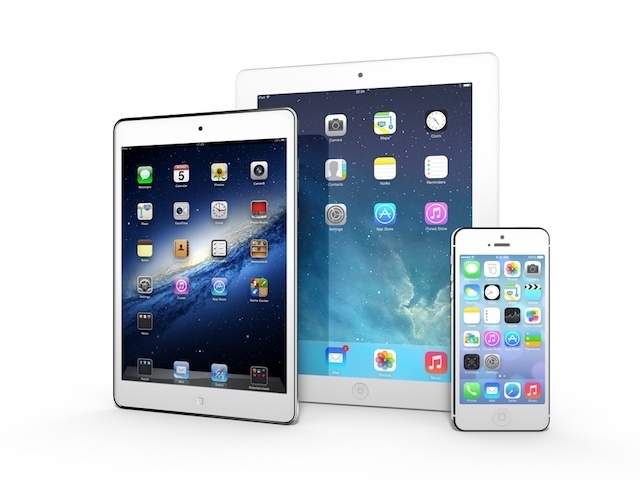 Learn Awesome tips for your iOS device! I don’t know about you but I take a lot of Screenshots. 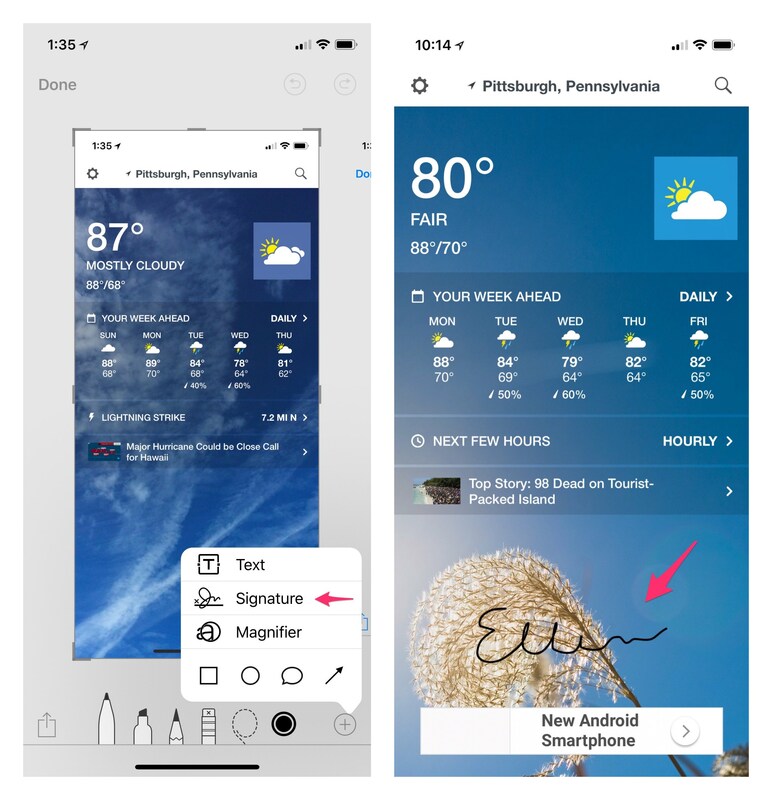 In iOS 11 Apple has made it really easy to see what you screenshot and allow you to add text, vector shapes, doodles and even zooming in to emphasize it more. You won’t even have to dive into the Photos app to edit. The little preview image floats at the bottom left of the screen for about 5 seconds, so you can jump right into your editing. This type of editing is called Markup. Markup is just a fancy way to say editing. To capture the screen of your iOS device simply do this: • iPhone X: Press the side button and the Volume Up button simultaneously • Other iOS devices: Press the Home Button and the Power Button (Sleep/Wake) simultaneously Your screenshot will appear in the lower left hand corner. It will disappear after 5 seconds if you don’t interact with it. To get rid of it right away just slide it to the left. 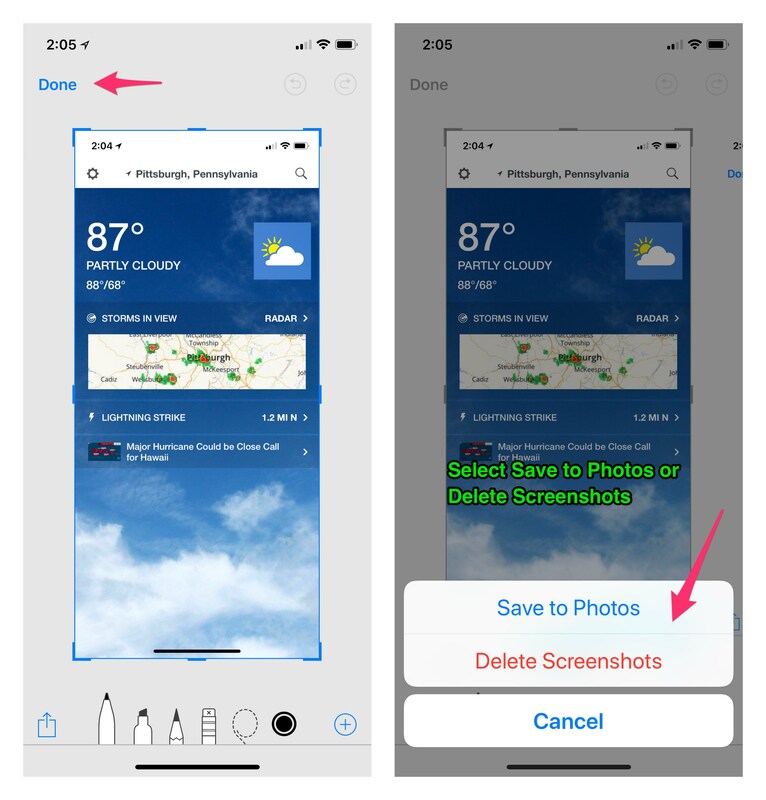 To share your screenshot without having to go into the Photos app: Press and hold on the thumbnail, in the lower left corner of your screen, to bring up the share sheet. 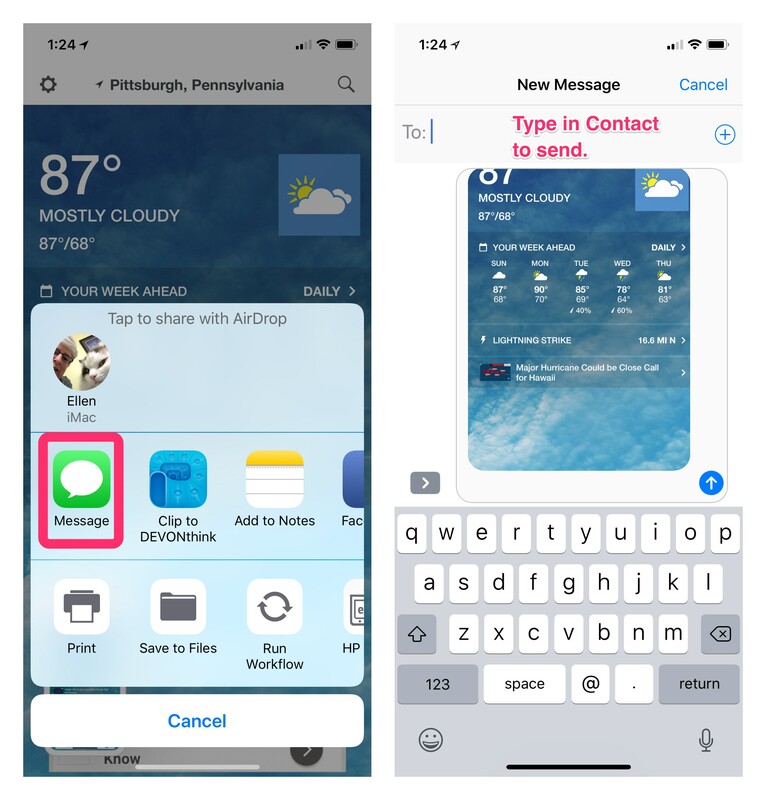 You can instantly transfer it using AirDrop to an iOS device close by or text it, email it, add it to notes, save it to the new files app or any other way the share sheet will allow. Editing your screenshot is easy. Just tap on the screenshot in the lower left corner before it disappears and you now have access to the Markup tools. You can change the color of the writing tools, use a marker, pencil, highlighter, eraser or Magic Rope. Just tap on the tool to select it. You can crop your screenshots as well. Touch and hold one of the edges and then drag it to the new crop. There are 4 additional tools available, just tap the + symbol. 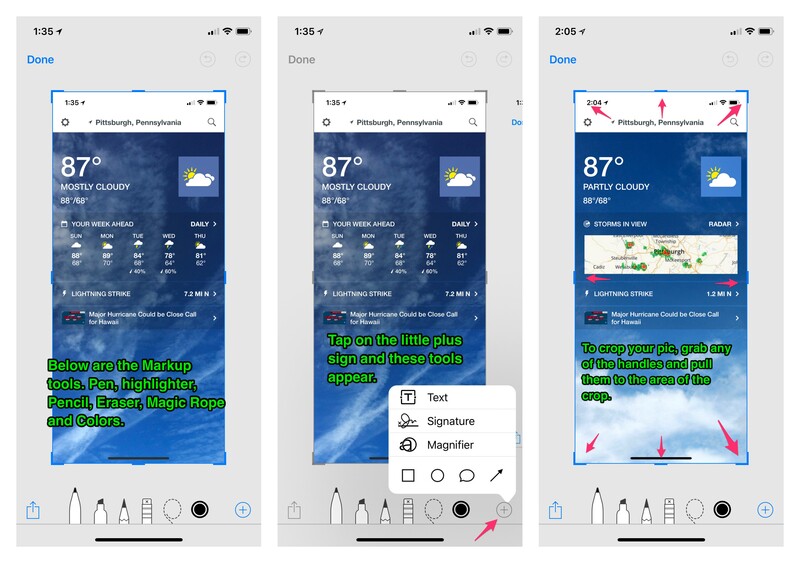 • Add a text field: This allows you to add text directly to your screenshot. You can move the text box to the area you choose. • Signature: Just tap on it, sign your name and it will be added to your screenshot. Your signature will now be saved in case you need to use it again. You will also be able to add other signatures. 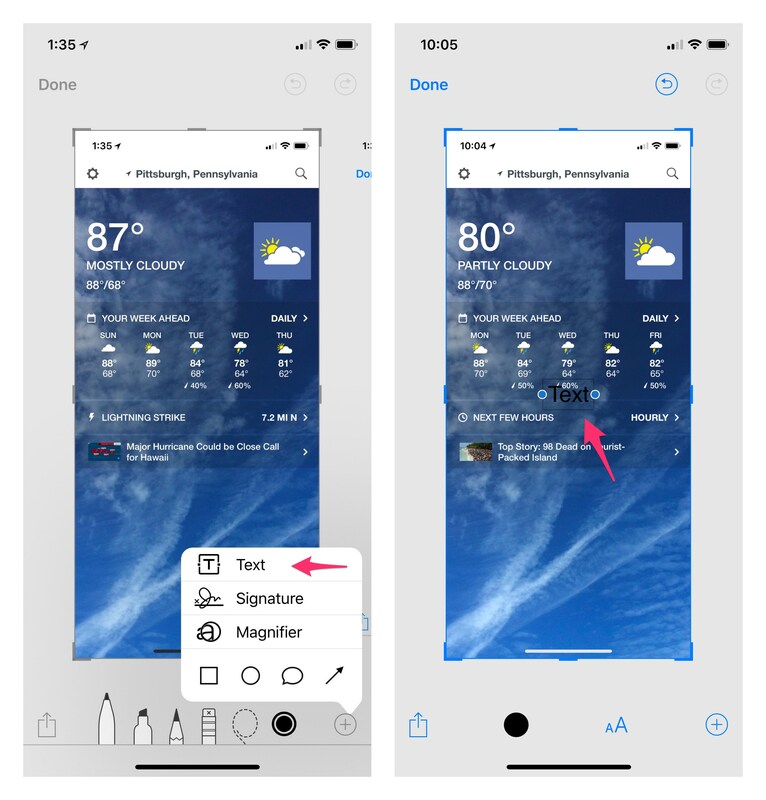 • Magnifier: This feature will zoom in to a particular area. You can resize and reshape using the blue and green toggles. 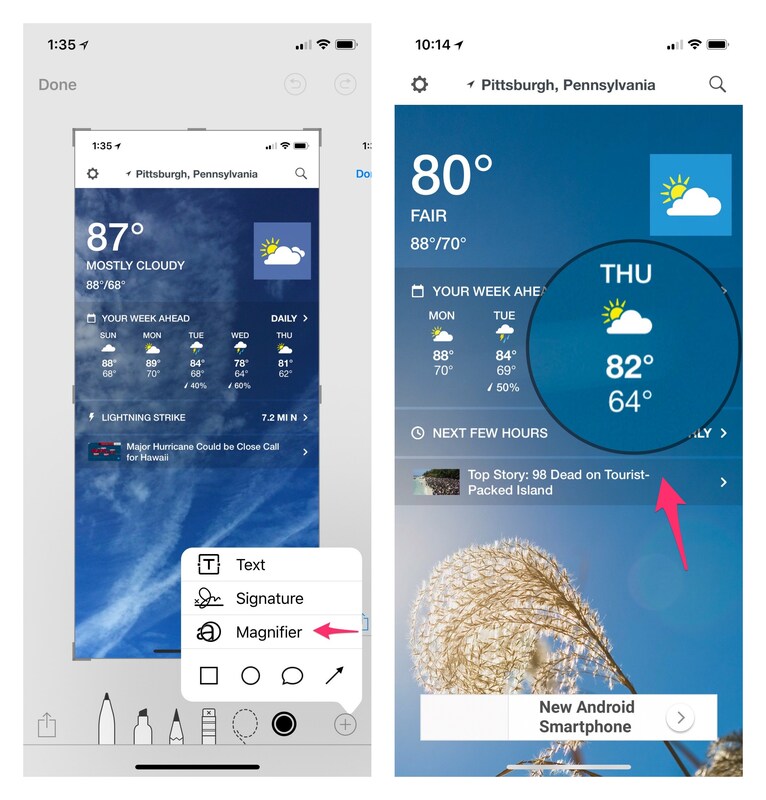 • Shapes: You can add different shapes to your screenshot such as a square, circle, speech bubble or arrow. They can either be solid or outlined and you can adjust it’s size and shape by dragging the edges. As much as I like having Instant Markup available, there’s one thing it needs. A way to disable it. 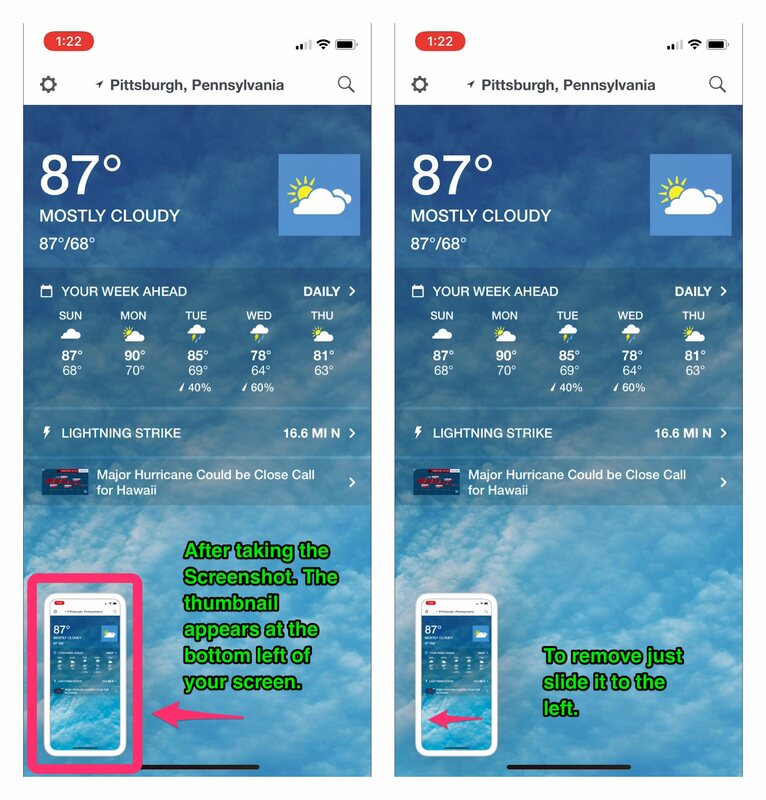 You might not want the screenshot thumbnail appearing after every screenshot, because you might not want to edit it right away. For now you’ll just have to swipe it away. Hopefully Apple will give us the ability to disable Instant Markdown in future update. If you have any questions or comments drop me an email or place them in the comments section below the blog post. Sign up for my newsletter and receive this guide!